Grains ground up for dyes rather than food? I can't find the anthropology paper, someone with better googlefu can help maybe. There is evidence going back and even today that many ground grains seeds and plants were used as bases for Dyes rather than as food. Considering the difficulty to gather, process etc. Can you share any papers reports or studies for or against this idea? List of Plants by Color. 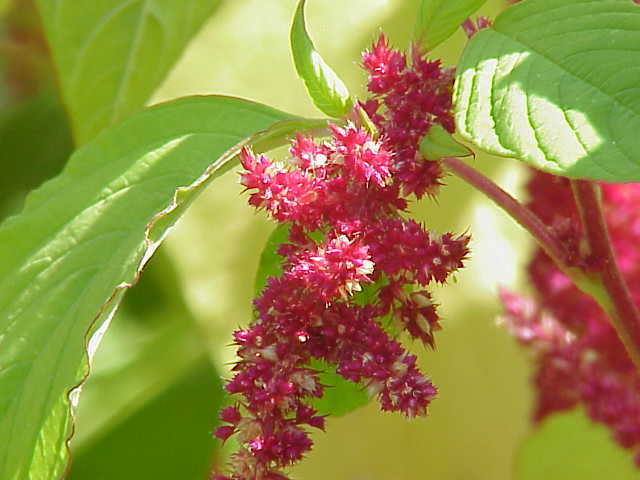 Amaranth is so prominent an ancient dye, its a color. Sure lots of plants have been used as dyes. Do you have any evidence that coloured millet and sorghum used for dyes are wild plants and not agricultural cultivars? Also I challenge you to make any coloured dyes from the plant roots the starches came from that were found in the recent study of ice age European flour processing everyone is talking about. Absolutely brilliant idea! And we know from cave paintings that colours were used. Also (can't remember where I read it, alas) there was an item about some 60,000 year old make up found - in a clam shell and made of hog lard mixed with dyes. One even had ground shell in it - the shiny part - to give glitter make up! Nothing new in the world - except perhaps, the EATING of grains, rather than using them for personal adornment!